Always Serving your Real Estate Needs in Unexpected Ways! Not all Real Estate Brokers are alike. Good brokers abound, but what sets one apart from another? Where it matters most. LAGAN & ASSOCIATES, LLC was created to be a real estate company that is set apart not only because of it's industry knowledge and expertise, professionalism and ethical practice of real estate, but more importantly, because of its single-minded pursuit of CLIENT SERVICE. Uncompromising personal service is where we begin our relationship with you as a seller or a buyer. And you will know the difference when you start working with us. We are client-focused, service-oriented, knowledgeable about the real estate market, hardworking and motivated, up-front and honest, always professional, thorough, reliable, caring and just plain NICE! 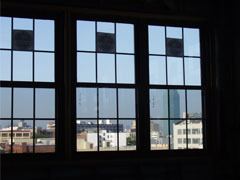 No window of opportunity is left unexplored by a good broker! Selling or purchasing a home is a complex, sometimes daunting and emotional process. It is also a transaction that takes time, effort and expertise. As your real estate professionals, we'll ensure this process will be smooth, worry-free and the most profitable one you'll ever experience. LAGAN & ASSOCIATES, LLC represents you and your interest in the sale or purchase of your property with success, ease and confidence. Our industry knowledge and expertise backed by our membership with the National Association of Realtors (NAR) the New York State Association of Realtors (NYSAR) and the Long Island Board of Realtors (LIBOR), and supported by one of the nation's largest database of properties and statistics in New York State like MLSI.com & REALTOR.com, will help bring you closer to your financial goals. A Relationship that you can rely on in Future Transactions. Copyright © 2018 Cecille Lagan . All rights reserved.